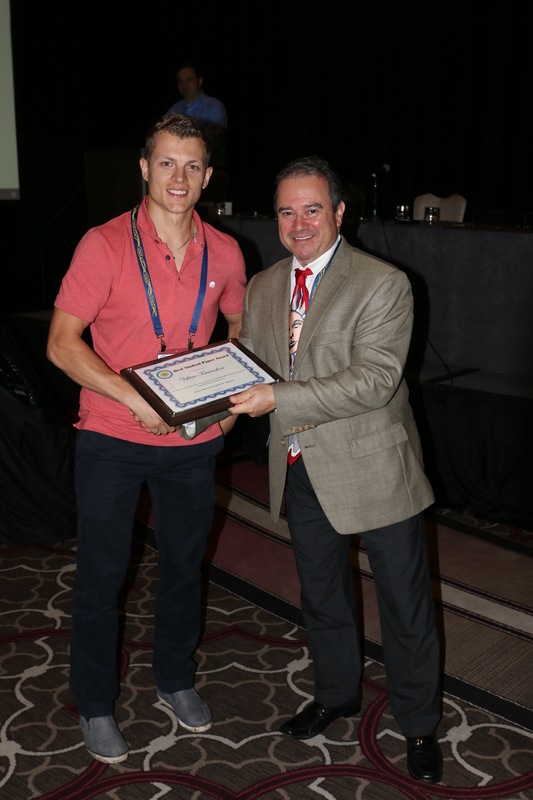 We are very pleased to announce that our NSERC Photovoltaic Innovation Network student Viktar Tatsiankou (PhD student in Electrical Engineering at the University of Ottawa) has recently been awarded the Best Student Paper Award at the 42nd IEEE Photovoltaic Specialists Conference (PVSC) held in New Orleans, USA from June 14-19, 2015. Viktar’s presentation entitled “A Novel Instrument for Cost-Effective and Reliable Measurement of Solar Spectral Irradiance” was presented at the concentrator photovoltaic session of the conference. Viktar delivered a solid presentation and answered a number of very difficult questions extremely well. 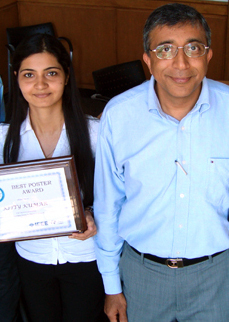 Here is the link to award details http://www.ieee-pvsc.org/PVSC42/awards-student.php. These are very significant accomplishments and a testament to our students’ abilities and talents and to the quality of training they receive from our researchers across the Network.